Sarah Jamieson has avoided weddings since a traumatic stint as a flower girl, but reluctantly agrees to stand up for her best friend. Only why does the best man have to be one of those confident, life-of-the-party types? Even worse, why does the bride make her promise to go on one date with the guy? Easy enough to agree, because she'll make sure he never asks. 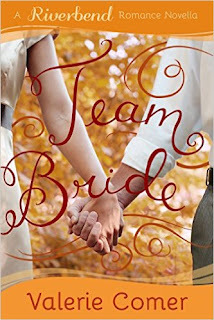 Corbin Morrissey takes his responsibilities for Team Groom very seriously, but coaxing smiles out of the maid-of-honor is harder — and more addictive — than he expected. To his surprise, she agrees to go out. There really isn't any way a date to the Fall Fair could go amiss. Is there? 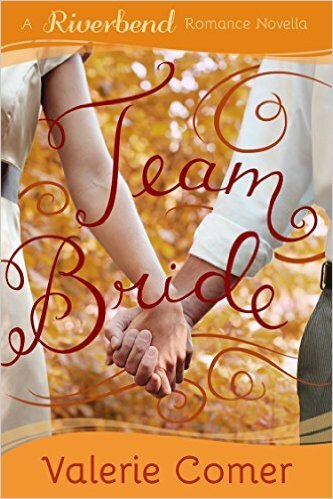 Can Corbin convince Sarah he's ready to settle down and make her the head of her own Team Bride, or will their past keep getting in the way? Riverbend, BC, is the quaint Canadian town you wish you were from, where everyone knows everyone, seasons are celebrated, and love is in the air. The Riverbend Romance Novellas are a series of contemporary Christian romance stories. These inspirational romance novellas are heart-warming shorter reads with true-to-life (but fictional) characters who face challenges in finding their one true love.